Lee Sosebee Ritchie became Minister to Children and Families at Ardmore Baptist Church in January 2015. Lee was born and raised in Athens, Georgia. In 2001, she received a Bachelor of Science in Early Childhood Education at the University of West Georgia. 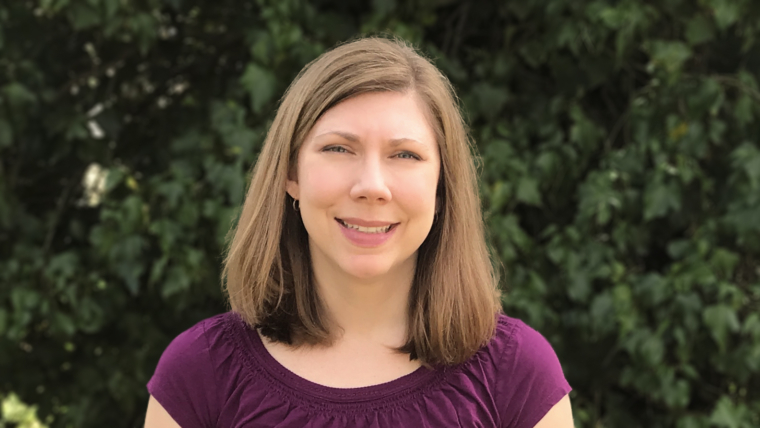 After teaching first and second grades for three years, she attended the McAfee School of Theology at Mercer University in Atlanta, Georgia earning a Master of Divinity in Christian Education in 2008. Lee served First Baptist Church in Commerce, Georgia as Minister to Children and Youth for eight years before coming to Ardmore. Lee and her husband, Jason, were married in 2000. Jason is a graduate of the University of Georgia and works for Anderson University as the Director of Information Services. They have a son, Warren, and a daughter, Mary Margaret. Lee enjoys spending time with family and friends, reading a good book, being near water, creating random art projects, and exploring the world from her children’s perspective. She also enjoys baking, practicing spiritual disciplines, being in nature, eating the food from her garden, and yoga. Fun facts about Lee: She learned the 10 commandments, all the books of the Bible, and all 50 states in the U.S. through songs as a child, and she still knows them today. Ask her to sing any of them and she will enthusiastically! You might find her periodically breaking into song about everyday ordinary life. She also thoroughly enjoyed reading the Harry Potter series and loves to think through them from a theological perspective.